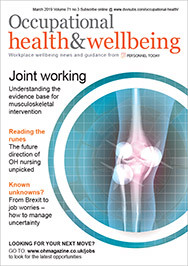 An increasing range of healthcare apps are changing the way HR and occupational health manage employee wellbeing and sickness absence. Activ People HR’s Kate Thomas explains. Baby boomers can remember a time before email, when phones were the way to communicate. A little further back and we communicated by letter. Home phones were rare and nobody expected instant answers. Skip forward, answerphones and email saw expectations increase to a response within hours – but thanks to social media, our expectations are now for an instant answer. The pressure of communication is being blamed for an increase in stress. France has introduced a legal right not to access work emails outside office hours, but emails are only one means of digital contact. We can text and email, and use Facebook, WhatsApp, Facetime, LinkedIn and Insta­gram – and people expect answers fast. Miss a call, and you’ll get a text. The lines are blurring, and in reality most employers don’t ask us to check work emails at weekends – most of us choose to because our heads are immersed in the digital soup. We can’t allow stress to rise alongside our expectations of communication, but nor can we fight the inevitable. What we can do, however, is harness these new tools to reduce stress and improve employee health. Digital tech can boost wellbeing, too. The new breed of people-focused apps can deliver benefits for employers and employees. Digital tech offers benefits for a fraction of the time, often cheaper than a traditional wellness programme – and it is also helping to streamline HR. Comprehensive analysis, reporting and recording tools help managers cut the frequency and cost of sickness absence. The administrative burden for annual leave queries is eliminated, along with the need for messy paper systems and spreadsheets. This dramatically frees up HR time and reduces stress. Even complicated leave allowances are calculated automatically. Employees are prompted to take their full holiday entitlement, which is necessary to ensure wellbeing. Line managers see leave requests alongside team leave information, so holiday requests can be accepted/rejected with a single click, directly from the email. Software gives visibility if staff work remotely, letting others know exactly when they are working and where. Homeworking is one of the most requested benefits, according to the CIPD, to achieve a good work-life balance. Line managers see sickness absence history, with patterns and trends being monitored. This helps differentiate between absenteeism and illness, and, combined with best-practice HR, means that mental health challenges can be identified early on, enabling better support and treatment. Reporting data will show trends and patterns of absence, such as who’s off, when and why. This enables HR and OH to target wellness initiatives to tackle specific absence challenges, rather than wasting valuable budget on a “hunch”. Most employee assistance programmes (EAPs) now include a mental wellbeing app for employees, but for mild stress, staff can even access free options themselves, such as the De-stressify app, which claims to reduce stress by 20% in four weeks. Digital tech means even the smallest employer can offer useful benefits, and easily access professional support. 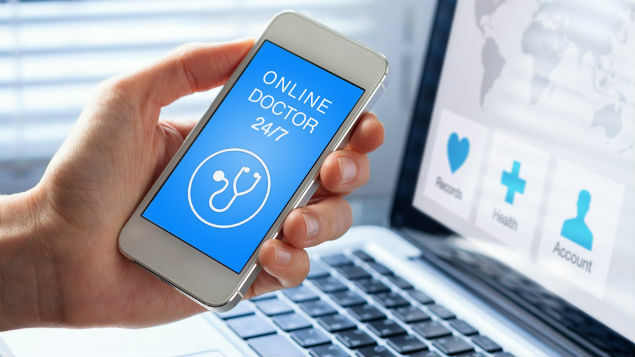 A quick online search reveals OH professionals and physiotherapists who increasingly receive enquiries online. Online counsellors are taking this a stage further, delivering their services online, via telephone or even over Skype. Counselling can be delivered outside working hours in the privacy of the employee’s home and with no travel time. It’s often cheaper, easier to access, and the impact on the business is substantially reduced. Primary healthcare is also getting a makeover. While traditional, all-encompassing private medical insurance (PMI) benefits are seeing costs rise and accessibility reduce, digital healthcare is growing fast, according to Aon Employee Benefits. Access to affordable, private GP treatment is being revolutionised by apps such as Babylon, which gives access to a GP seven days a week for just £5 a month, with similar services from PushDoctor and Now GP. Consultations are carried out via video or phone, so no long wait in a surgery. Prescriptions are sent directly to a local pharmacy and can be collected after work. It’s a useful benefit when it is increasingly difficult for staff to obtain GP appointments. While France’s email law would have minimal impact here, implementing the new technologies staff already use is an easy way to enhance wellbeing and improve engagement. What employer doesn’t want that? Kate Thomas is head of marketing for Activ People HR.